Van a hacer una canción para recordar el pretérito. If you missed class, please watch the following two videos and copy down the notes! If you need to resubmit your "Mi revista de ropa" project, please do so. Send me an e-mail saying where you turned it in! ¡Disfruten su fin de semana! 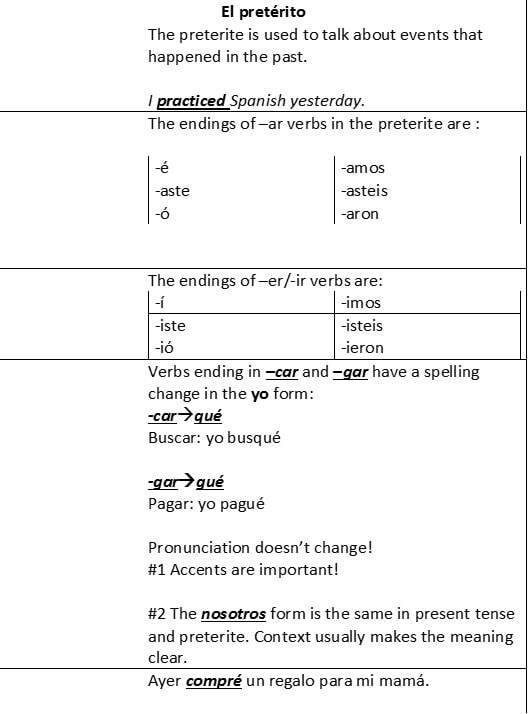 ​If you missed class, please ask for a vocabulary sheet. If you missed class, please watch the video and copy the chart in your notes.